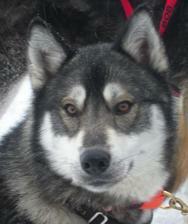 Who is your favorite Door County Sled Dog? 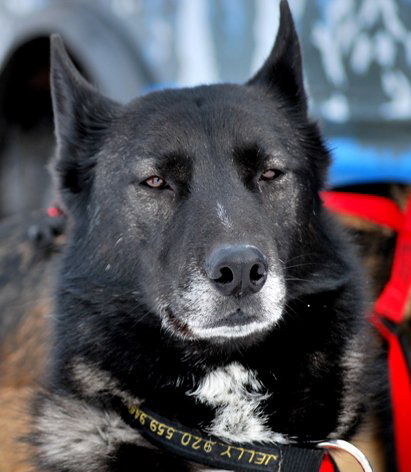 Our Sponsor-A-Sled Dog program allows you to “keep tabs” on your favorite sled dog or give a friend or loved one the gift of their very own sponsored team dog! 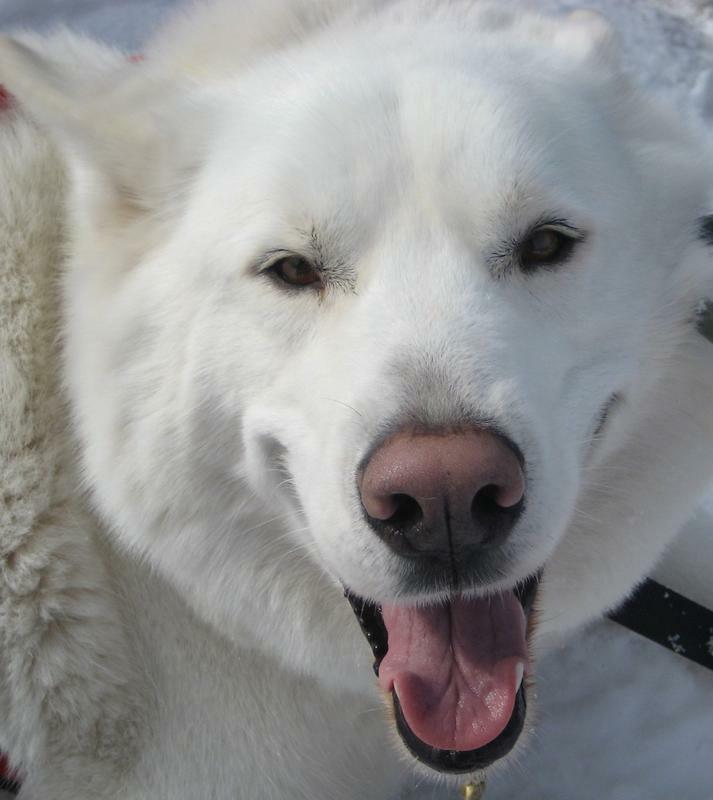 Your tax-deductible sponsorship provides the Door County Sled Dogs with much-needed financial support allowing your special dog to remain in a happy, healthy and safe setting. 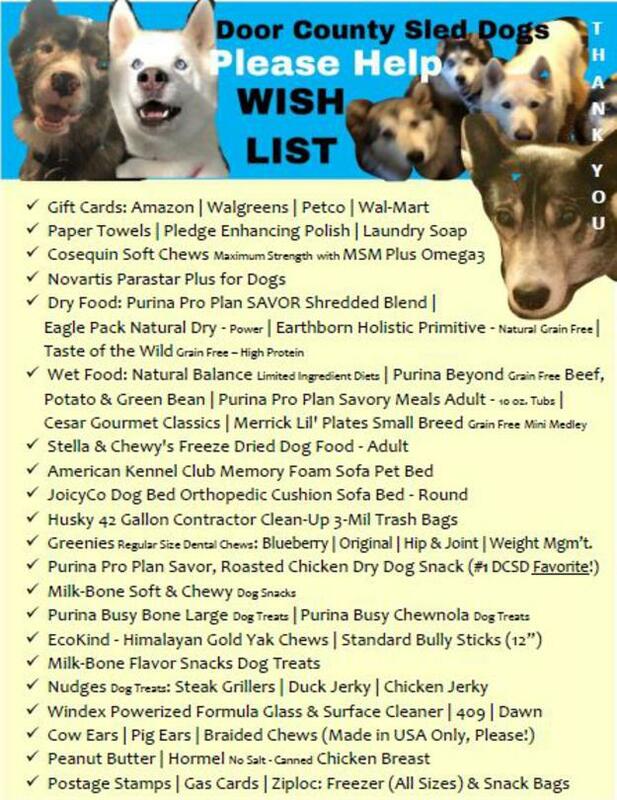 All funds go directly to the care and upkeep of our animals and equipment, and to the educational programs we provide to the community. We believe that the impact of meeting a sled dog in-person is profound, inviting you to personally introduce yourself at any of our public events or even while visiting our Education Center (free to you, a special Sponsor!) in beautiful Door County! 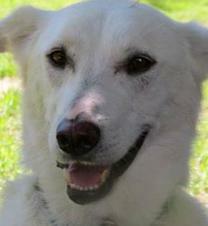 Your Sponsor Dog would love a visit from you! 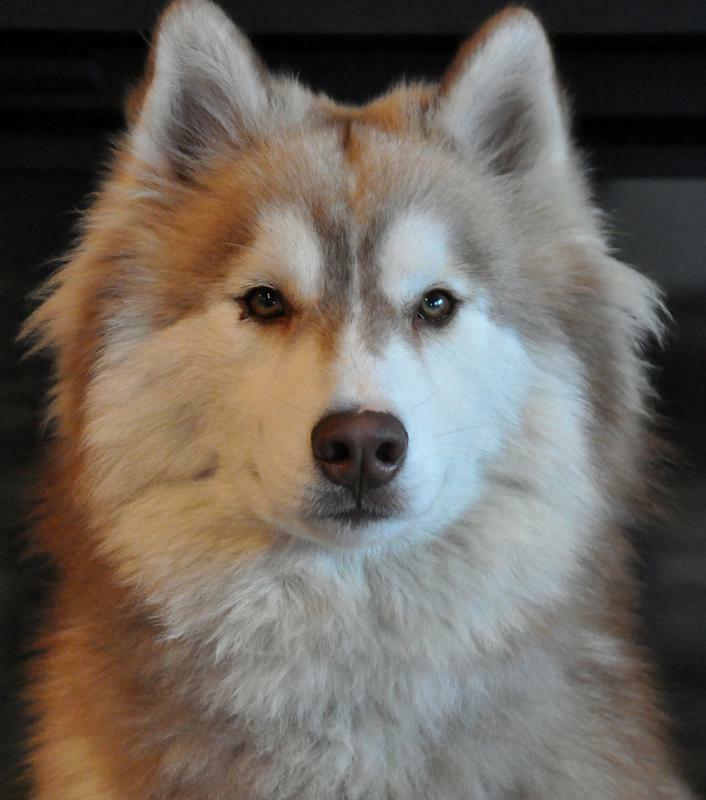 We also believe that this connection helps us all comprehend the importance of understanding the connection between working dog breeds, ourselves, and the community. 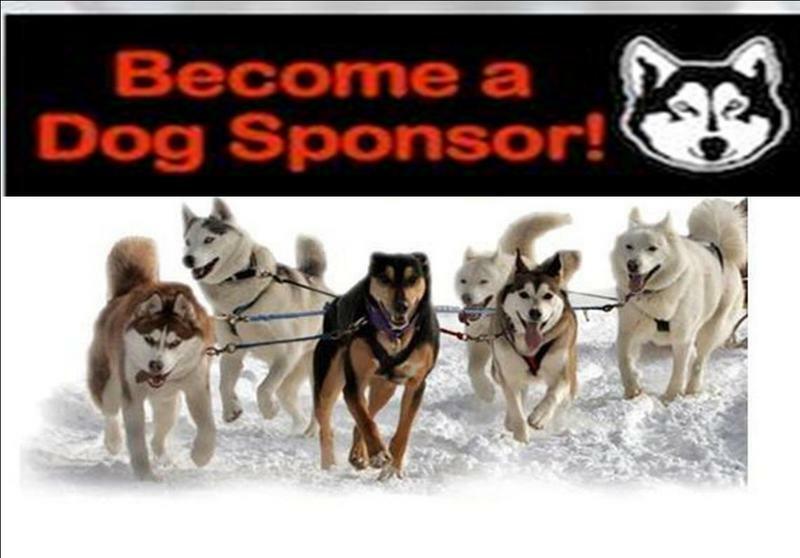 In addition, your sponsorship helps all the Door County sled dogs to keep doing their great work in the community year-round. Sponsorships make great HOLIDAY, anniversary, graduation or retirement gifts! 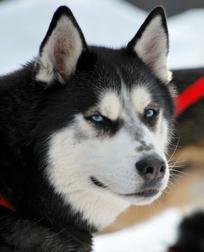 They can also be made in memory of a beloved family member, friend or pet. 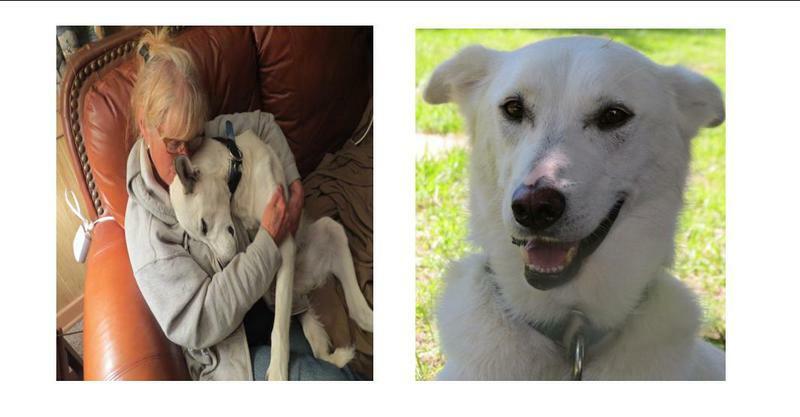 Your kindness and generosity makes a world of difference in the lives of the rescues - you help save lives! ​If the sponsorship is a gift, please provide the recipient's information (adddress) in the customer notes box. 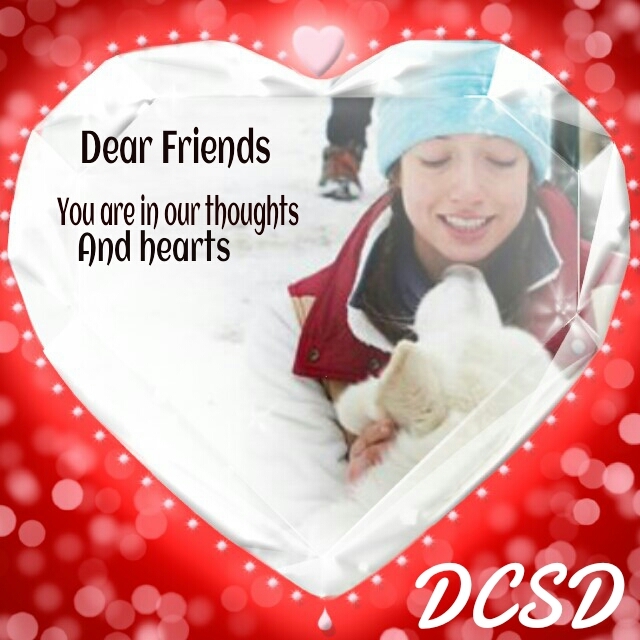 Please email Musher Bonnie at dcsleddogs@gmail.com if you need any help making a donation on this page! A HUGE THANK YOU to our Thoughtful and Generous SPONSORS! Can't pick a favorite? They're ALL your favorites? You can show your support by sponsoring the whole team! Be a BIG SPONSOR and let them know that you've "got their backs! Just click on the donate button and then select "Sponsor the Team"! 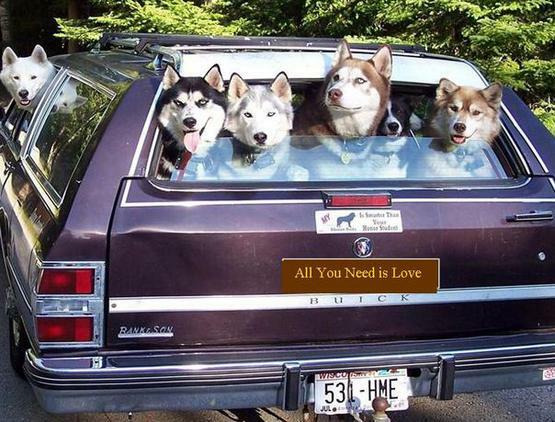 WHICH LUCKY DOG(S) IS GETTING A NEW FRIEND!